What Is a Chapter 13 Confirmation Hearing? In a Chapter 13 bankruptcy case, a debtor is required to submit a repayment plan to the court. But submitting the plan is only the first step. The debtor’s creditors, as well as the trustee overseeing the bankruptcy estate, have the right to review the proposed plan and note any exceptions or objections with the court. The bankruptcy judge will then hold a “confirmation hearing” with all interested parties. At this hearing the judge will review any objections, and may make independent inquiries about the proposed repayment plan. Only after the court is satisfied the plan complies with all relevant Chapter 13 requirements is it approved. If you are represented by a qualified Miami bankruptcy lawyer, it may not be necessary for you to appear in person at the confirmation hearing. Depending on the rules of the particular court or judge, your attorney may be allowed to argue on your behalf without your physical presence. But you cannot simply ignore the confirmation hearing, especially if you decide to act without the assistance of counsel. In such cases, the court can–and will–dismiss your bankruptcy case, leaving you on the hook to your creditors without the protection of a repayment plan. For example, a federal appeals court recently rejected a Miami-area woman’s attempts to reinstate her Chapter 13 bankruptcy case after she failed to appear for her confirmation hearing. 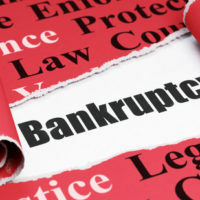 The debtor, who represented herself throughout the process, apparently failed to comply with several other requirements of the Bankruptcy Code as well, such as filing all necessary federal income tax returns. And according to the appeals court, she did not file a complete record of the case, limiting the scope of the higher court’s review. The basic facts were these. The debtor filed a Chapter 13 bankruptcy petition and a proposed repayment plan. The trustee convened a meeting of the creditors, which is standard procedure, at which the debtor was present. During this meeting, the trustee gave the debtor a “list of deficiencies” in her repayment plan and told her they needed “to be corrected before a confirmation hearing was held” approximately one month later. As mentioned above, the debtor never showed up for the confirmation hearing. Nor did she correct any of the deficiencies presented to her by the trustee. At that point the judge dismissed the case. Many people think they do not need a bankruptcy lawyer. But Chapter 13 cases have very specific requirements that must be met. Judges will not excuse a defendant’s failure to comply just because they choose to proceed without an attorney. If you want to make sure your Chapter 13 case succeeds, the best thing you can do is work with a qualified Miami bankruptcy attorney. Contact the Law Offices of Julia Kefalinos at (305) 676-9545 if you need to speak an attorney right away.